The first talk featured a Uruguayan resident who provided a brief overview of his country. He specifically discussed President José Mujica, famously known as “the humblest president in the world,” for his modest lifestyle and donation of 90% of his salary. He described the significant social changes and progressive policies the president implemented and how they are clashing with a relatively conservative society. During another session, a Lebanese resident provided a similar overview of his country and its political history. Another talk featured a resident working at Twitter’s Washington D.C. office. She first provided a practical guide on how to utilize the website and what it can offer. She then explored some of the intersections between social media and policy/diplomacy. The following week, an Italian resident explained the historical and cultural roots of the Greek fiscal crisis—the subject of her economics thesis. She urged her fellow residents to consider the crisis as more than a monetary issue. She said that it is vital to remember the culture, thoughts and struggles of the Greek people while working towards viable economic solutions. Another resident spoke about the history of Native Americans and U.S. policies, highlighting historical treaties up to modern day issues facing their populations. A Lebanese-American resident, who formerly led her university’s “toastmasters club,” provided advice on how to give a successful talk and not completely bore your audience. She emphasized that no matter what, one must always be prepared for the worst; if your slides don’t work, if your video doesn’t play, if you lose your written remarks, you must always be prepared to speak anyway. Afterward, she had residents participate in several fun improvisation activities where residents had to make a speech about a given topic without any preparation. The group discussed the general rule of improv of staying calm, remaining optimistic and working positively with your performance partners, which holds lessons for team activities of all kinds. Most recently, a student working at the Federal Reserve spoke about big data. Big data is currently a source of much hype and concern, presenting many exciting technological innovations, especially for her work at the Reserve. However, as she pointed out, there are also tremendous risks and concerns, especially related to privacy. She described how big data presents a major policy challenge for the U.S. government because it must find a balance between regulation and not inhibiting innovation. Current residents should regularly check the ISH facebook page for information on future sessions, which are held every Monday evening at 7:30pm. Originally from Long Island, New York and a graduate of Hofstra University Honors College in New York, Josh came to ISH in August 2013. During his time at ISH, Josh has held two different internship positions, one on Capitol Hill and another with the American Association for the Advancement of Science (AAAS), where he continues to work. 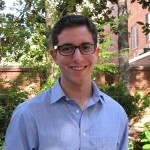 Josh is an active resident member with the ISH Committee on International Dialogue.